Looking forward to everyone's comments - enjoy! 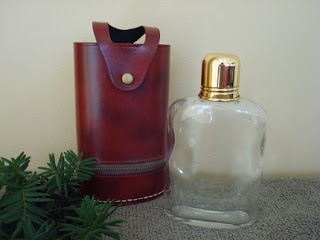 Great vintage items and the photos are well done. Good job! I love the faux alligator vintage ice bucket with flower handle. So Mad Men! 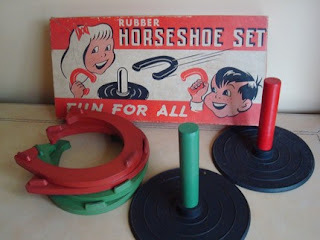 I recognize some of the other items from my grandmother's house growing up! Thanks for introducing us to this seller. 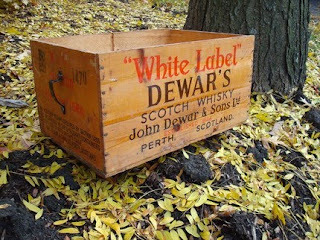 Oh I love that vintage Dewar's crate (and I bet my dad would love it since he likes their scotch though I'm sure he'd be disappointed if he opened it up and saw it wasn't filled with liquor). I really like the art deco chrome cups, too. They're so pretty and very unexpected. I bet they do a great job of keeping drinks cold.